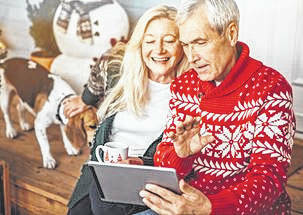 New features are offered online by Social Security. GALLIPOLIS — 2018 is here! It’s the new year. There’s no better time to tell you about the new features we have in my Social Security. They not only save you time, but also put you in control of your retirement future. https://www.mydailytribune.com/wp-content/uploads/sites/42/2018/01/web1_1.25-Social1.jpgNew features are offered online by Social Security.